Embrace Your Journey – Embrace Your Journey is a creative collaboration between inspirational words, art and community, helping you to manifest change, progress and improvement in your daily life. Embrace Your Journey is a creative collaboration between inspirational words, art and community, helping you to manifest change, progress and improvement in your daily life. We believe in a world where you are loved and supported, not only by your friends and family, but most importantly by YOURSELF. We believe in a world where self-care is taught in schools and at home. Where we learn that we should speak to ourselves the way our best friends and loving family speak to us. We believe in a world where art and words meet in beautiful alignment, surrounding us in love and light… Light that reminds us that it’s okay to be exactly where we are on our journey. 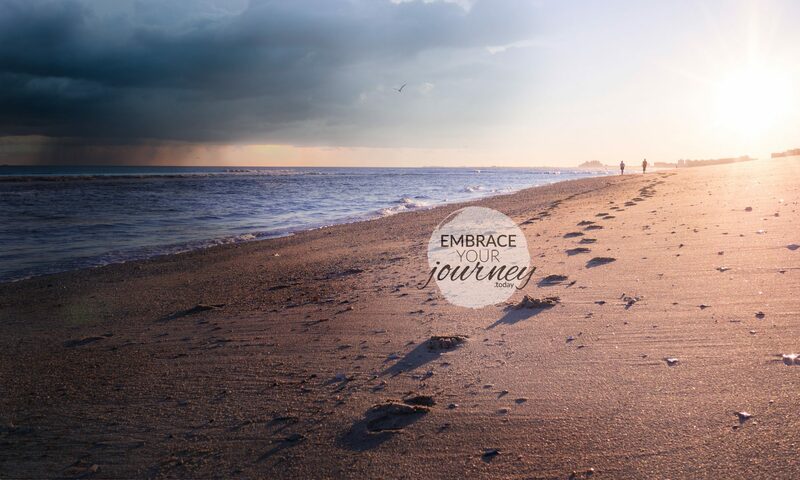 Embrace Your Journey is a creative collaboration between inspirational words, art and community, helping you to manifest change, progress and improvement in your daily life. Embrace Your Journey’s simple and beautiful products and posts enhance your daily life by increasing your mindful moments and positive mindset. We’re all about simplicity, beauty and positivity. And it’s not about being blindly positive – It’s about seeking the positive aspects of your current situation, and finding comfort, acceptance, and ultimately peace and joy with wherever you are on your journey. Our experience in life is a constant roller coaster. It’s fun. It’s sad. It’s exciting. It’s messy. It’s joyful. It’s painful. Life changes FAST. And sometimes we blink, then we realize that we barely remember some of the most important pieces of it. Embracing the journey we’re on -in the best AND worst times- helps us to grow, to be strong, to be happy. We can remember and honor those we’ve lost… Or those troubling times of our lives that we overcame. We can find peace in our experiences and live a more peaceful and happy life. Wherever you are on your journey, we want to help you embrace it. A stylish way to share YOUR light. Affordable and shareable. You receive several files (sized for computer, tablet, phone and printers) for each affirmation so you can surround yourself with the uplifting words that you choose. Perfect for gifting, these are printed on high quality cardstock with rich colors. Choose from a stunning soft matte finish, or “bare” heavy weight cardstock for paintable options. Daily inspiration, artistic affirmation downloads, uplifting community and custom affirmation options.